Every once in a while someone comes to us who got “Google Slapped” or even outright banned by Google and asks us to help. 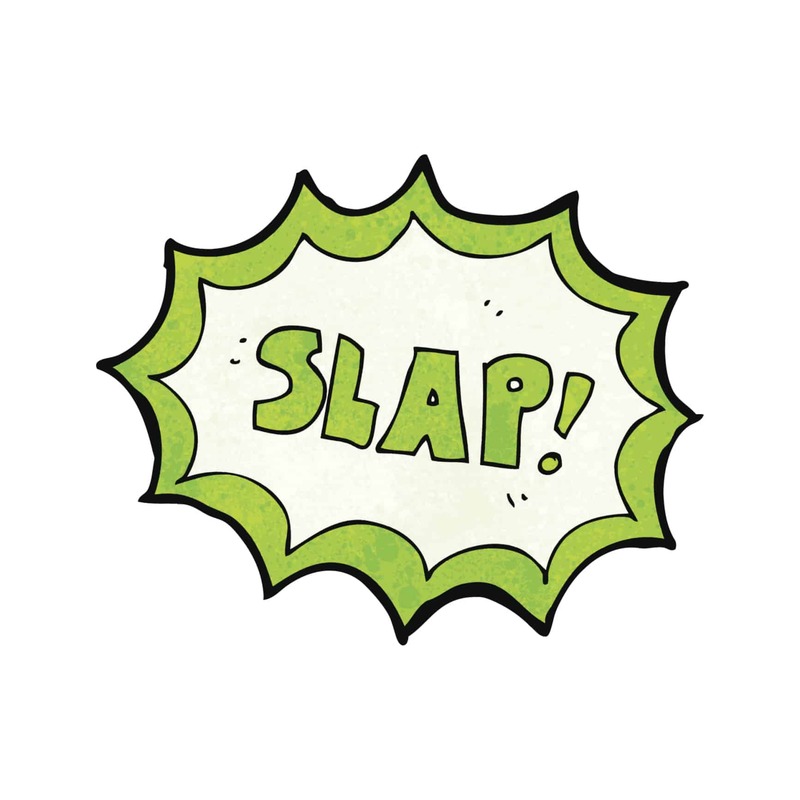 There are several different types of slaps with different levels of severity ranging from higher minimum bid prices on your keywords, to reduced ad serving, and on down to your account not getting any impressions at all. The most severe is when you get banned from Google Adwords for life, no matter what account you want to start or what site you want to promote. Since Google is by far the biggest source of search traffic, that is pretty painful. First off, there are plenty of things you can do. While you are trying to fix Google, to prevent your traffic dying completely, we recommend getting going at Adcenter, and then checking out some alternatives to both Google and Microsoft here. That way your web business doesn’t die and you get some quick traffic that is of decent quality. Most advertisers we have found that get slapped, never even looked at these guidelines, they were only concerned about how well the site converted. But trust us, Google is dead serious about all these points. We recently decided to do our own research using all of our favorite competitive intelligence tools, to find the leading advertisers in over 15 different sectors, the biggest factor we were looking for was impression share, meaning of all the impressions available, who is getting the most? We then filtered out all the fortune 500 companies and inefficient advertisers to get a list of truly smart advertisers that are continuing to get a lot of great traffic from Google, not banned at all, and still doing well. All of these advertisers as far as we can tell are getting great impression share and a great return on advertising investment. In other words, our research and analysis was just based on a simple premise, finding out who is not being slapped. We were able to come up with a great list which we provide to some of our VIP clients, and implement step by step.If you want to find out the secrets, you have to call us at 800 920-1985 right now. 1) Page loading times- Google is much more dead serious about this one than most people realize. If you have a hosting provider that isn’t providing you with good fast hosting, switch. Next, check http://tools.pingdom.com/and test the speed of your webpage, you might be surprised. Hire a webmaster to optimize your web page. 2) Original content is very important. Quality content is very important. Relevant content to the keywords you are advertising on is very important. Revamp your site paying attention to whether you are actually adding value to the user who clicked on the ad. You should have some free valuable content on your site, even if people have to register to get your premium content. Consider finding a way for people to get a preview of your premium content, instead of making them give up their personal information just to access content. 3) Navigability- it should be easy for people to find what they are looking for on your site, and you should be taking people to the exact right content for them depending on the keyword they were searching for originally, or if advertising on the display network, most appropriate considering the site or keywords you were targeting. 4) Good Business practices- If you spend any time at all like we do talking to Google employees, you will get sick of the phrase “user experience” pretty darn fast. Nevertheless, since that is important to Google, it has to be important to you. The vast majority of the sites that we have seen get slapped really violate the transparency and personal information parts of the landing page guidelines given above. Who is behind the website? What company am I giving my information to? How do you treat my personal information? Who are you and where are you located? If you aren’t clear and up front about this, you will eventually get into some problems with Google. There are of course more factors which you can get if you call us at 800 920-1985, but an honest asessment, looking at all the factors of the link below and how your site stacks up against them, will go far in helping you get back in Google’s good graces. Oh yeah, did we mention you should call us at 800 920-1985 Now? Before your competitors do? Well, do it! Tired of the Google Slap? Call US Now.